The people at The Substation were dead serious about the Armenian Clinic project if the facade of the clinic was anything to go by. They retrofitted the entrance in the likeness of an old-school clinic, with a glossy black signboard emblazoned with white lettering. Patients were required fill out a personal particulars form requesting for their ailment and allergies. 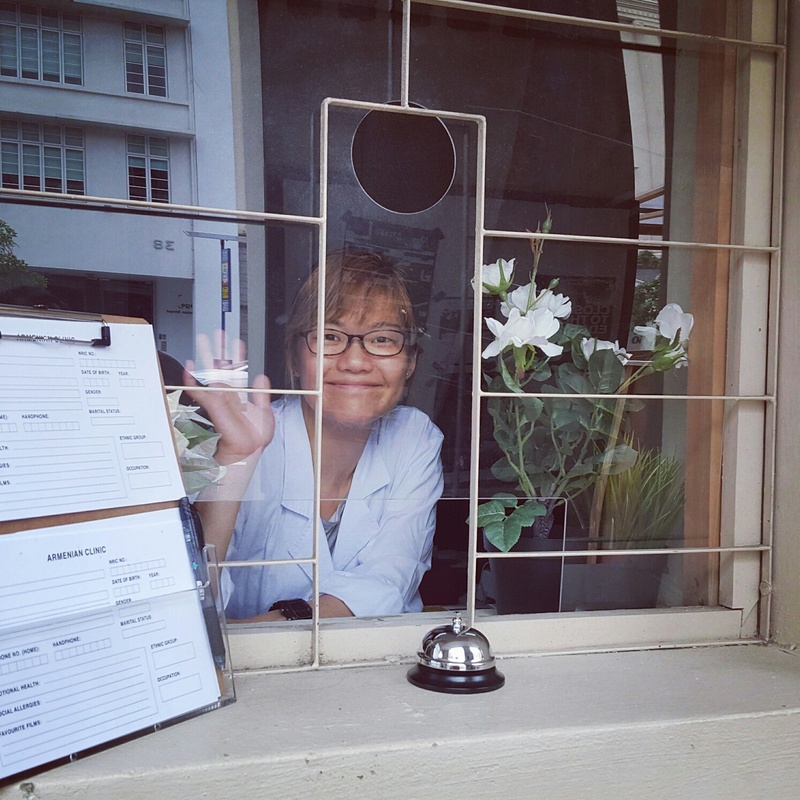 A ‘nurse' in attendance donned a white medical jacket to complete the immersive experience. The Armenian Clinic was devised by film programme manager for visual arts at The Substation. 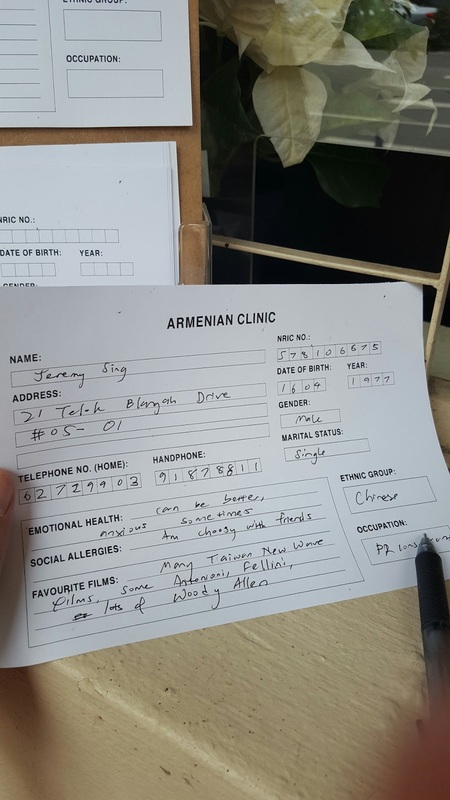 Based on the belief that films have a certain therapeutic usefulness to our lives, the Armenian Clinic is a place where people who have troubles, especially of the more emotional and spiritual kind, can consult with a doctor and walk away with some film recommendations from the doctor. 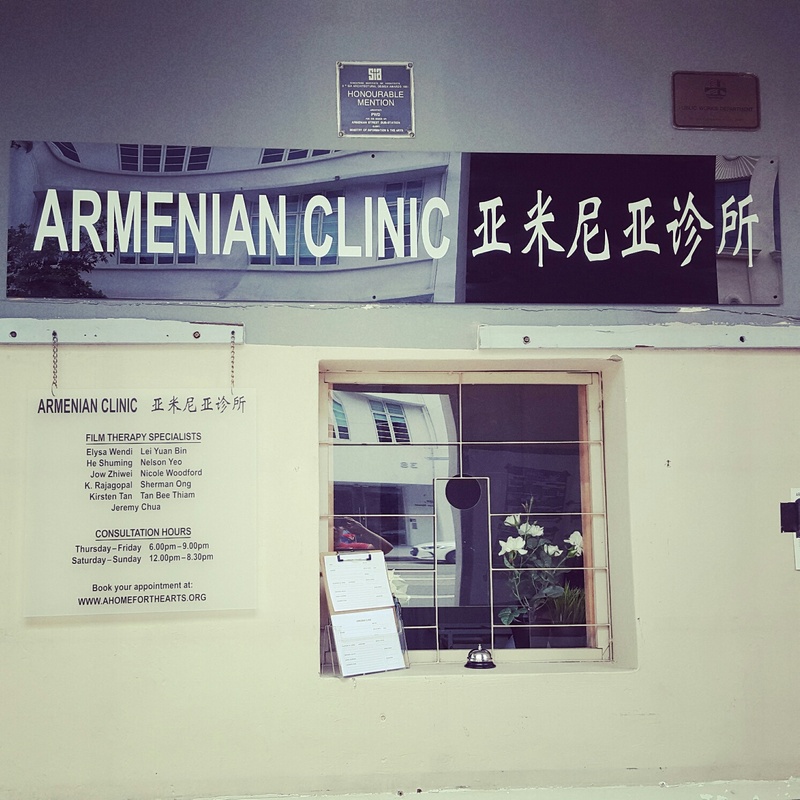 Check out our previous post for a primer on the Armenian Clinic. It was too good to pass up an opportunity for free ‘medical consultation’ and such a novel new alternative to seeking chicken soup for the soul. 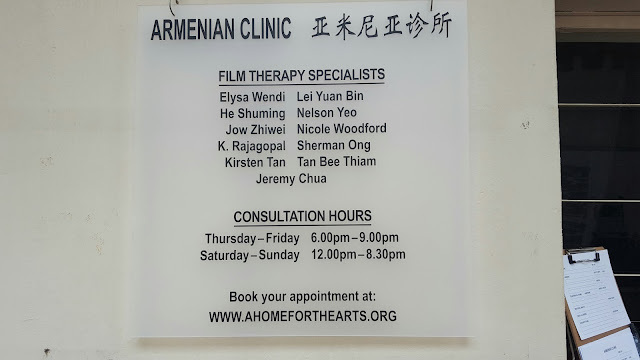 Away from the SGIFF madness, I detoured to the more serene Armenian Street neighbourhood and paid the clinic a visit. My first moment of relief when I entered the consultation room was the strong air-conditioning, providing respite from the muggy weather outside. 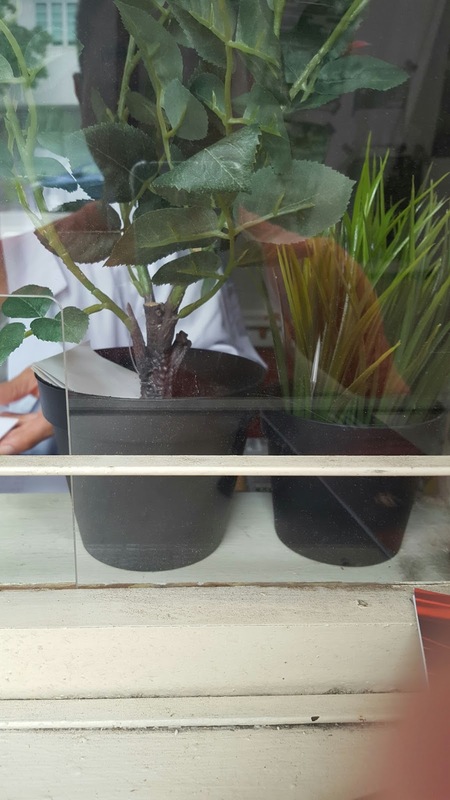 In a room thoughtfully furnished like a shrink’s workspace, with plants dotting every corner, the doctor in attendance was Elysa Wendi. In retrospective reading, Elysa is an artist whose works span disciplines like film, performative-act and mixed-media installation. She co-founded Cinemovement together with film producer Jeremy Chua in 2015. http://www.elysawendi.wordpress.com But in that white physician jacket, she looked every bit the experienced, nurturing, motherly doctor. But she is a hardliner with house rules. I tried recording down our consultation session and her sharp eyes recognised what I was trying to do and requested that I stopped recording before she starts the role play. Perhaps the mystery of the clinic experience is part of what would draw people to the Armenian Clinic, hence, the house rule. In defending what I was trying to do with recording the session, our encounter got off to an awkward start. I had positioned myself as a ‘fake’ patient and Elysa was trying hard to salvage the session and see if she could making my time useful. We chatted about our favourite directors in general and she stumped me with the familiar what’s your favourite director and film question - a question that usually invites more than one name. But unknowingly, our dialogue drifted into our personal identities and outlook in life. That’s when I realised the I had spontaneously drifted into the desired 'patient mode' of discussing my needs. We skirted around several issues like societal pressures, expectations, life's responsibilities and death. 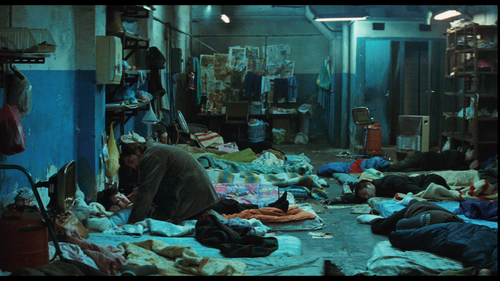 On the topic of death, Elysa recounted a scene from Alejandro Gonzalez Inarritu's 'Biutiful' in which he unintentionally caused the death of a group of illegal Chinese immigrants as he bought them a cheap heater. The bodies which were dumped eventually floated to the surface of the sea water and created a surrealistically beautiful moment. Indeed, films give us a chance to gaze at death from all perspectives. And surely, one can easily see how this leads to a kind of mental healing. Unfortunately, I did not have enough time to 'heal' myself in the film viewing stations in the Theatre (there were three installed). 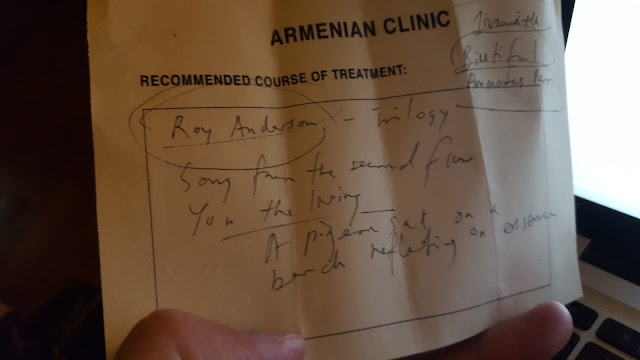 But Elysa did write me a prescription to watch a few Roy Anderson and Inarritu's films. She also hinted at the possibility of reinstating the clinic for a second season. So do stay tuned to this space for more updates.